Few artists of the 20th century are as intriguing as Joni Mitchell. She was a solidly middle-class, buttoned-up bohemian; an anti-feminist who loved men but scorned free love; a female warrior taking on the male music establishment. She was both the party girl with torn stockings and the sensitive poet. She often said she would be criticized for staying the same or changing, so why not take the less boring option? Her earthy, poetic lyrics ("the geese in chevron flight" in "Urge for Going"), the phrases that are now part of the culture ("They paved paradise, put up a parking lot"), and the unusual melodic intervals traced by that lissome voice earned her the status of a pop legend. Fearless experimentation ensured that she will also be seen as one of the most important musicians of the 20th century. 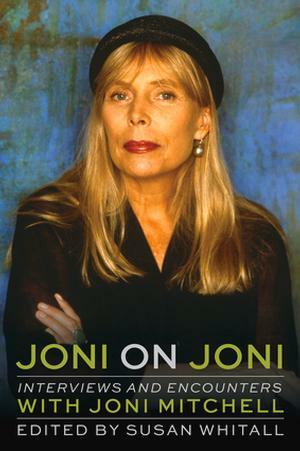 Joni on Joni is an authoritative, chronologically arranged anthology of some of Mitchell's most illuminating interviews, spanning the years 1966 to 2014. Many are revealing pieces from her early years in Canada and Detroit, and influential articles such as Cameron Crowe's Rolling Stone piece appear. Interspersed throughout the book are key quotes from dozens of additional Q&As. Together, this material paints a revealing picture of the artist - bragging and scornful, philosophical and deep, but also a beguiling flirt.